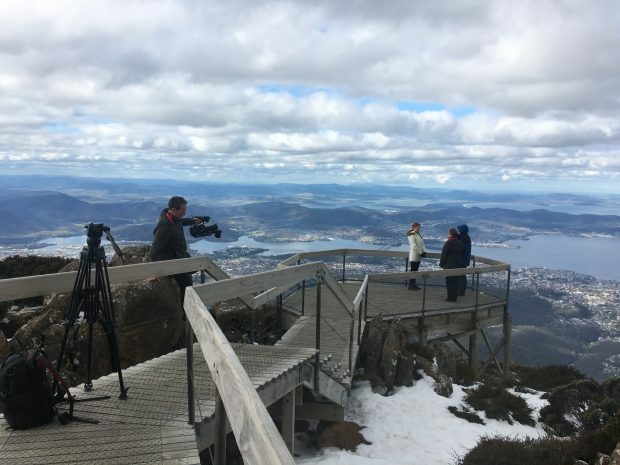 Hobart turned on the goods to provide ideal filming conditions for episode 3 in the Travel Daily and Cruise Weekly webinar series with Crystal Cruises. 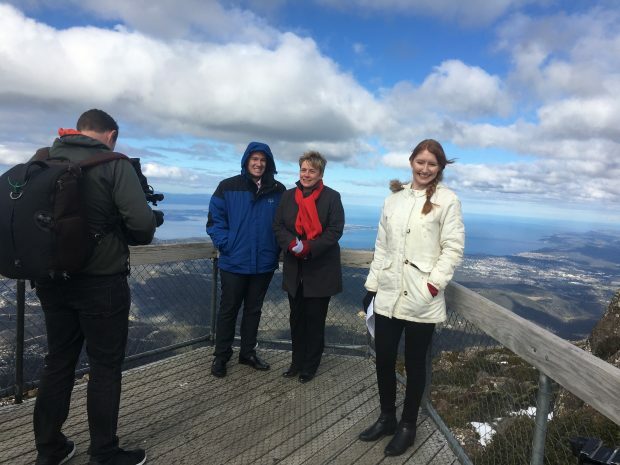 Ascending the lofty heights of Mt Wellington, Travel Daily’s editor Jasmine O’Donoghue spoke with Karen Christensen, Senior Vice President and MD Australia and New Zealand about the cruise line’s move into luxury expedition cruising with the forthcoming Crystal Endeavor. The two were joined by Crystal’s Expedition Expert, Mark Spillane as they discussed the burgeoning appeal and growth of expedition cruising and what travel agents can expect on board the Crystal Endeavor, where she’ll sail in her inaugural season and the type of traveller that would be appealed by this style of cruise experience. 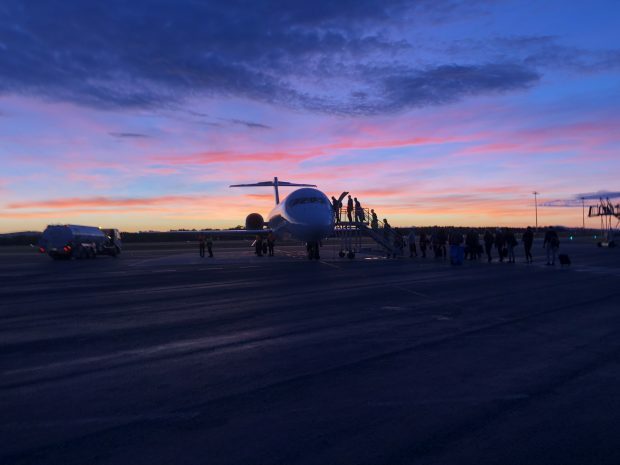 Then it was an early morning Qantas Link flight back to Sydney the next day where production work will continue ahead of the screening of webinar 3 on September 12. Register for webinar 3 here with agents that register in advance having the opportunity to enter a competition to win a luxury cruise for two.